It appears that Apple's iMessages and FaceTime outage earlier this week was not an isolated incident, as Apple users had no doubt hoped. The messaging and video chat networks went down again for some users this morning. Tuesday's iMessage and FaceTime outage lasted more than five hours and affected users on both iOS and Mac OS X seemingly on a global scale. Today's service interruption was really more of a hiccup, lasting little over one hour according to Apple, though CNET reported that it was actually closer to two. One of the things that attracts everyday consumers to Apple is the company's reliability. If there's an issue with a product or service, Apple is normally quick to help, and the "geniuses" in Apple stores can solve most problems with a quick visit. Anything that tarnishes that image can't do Apple any good. Granted, the lack of iMessages this morning and on Tuesday likely went unnoticed by the majority of iOS users, as all it meant was the little bubbles changed from blue to green as normal SMS messages were sent instead. 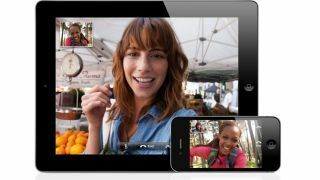 Some who found Apple's FaceTime video chat service down may have felt the outages more keenly, though. In any case, Apple has yet to release a statement or provide a reason for the outage, despite our queries. We'll update this story if and when they do.